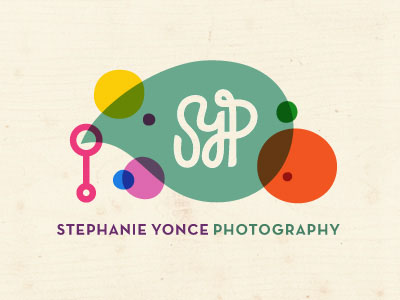 A well-designed logo is a must-have tool for any photographer and studio wants to be seen on the market. According to many analysts, a logo plays an important role in entrepreneur’s success. Especially, if it’s a part of a brand identity. 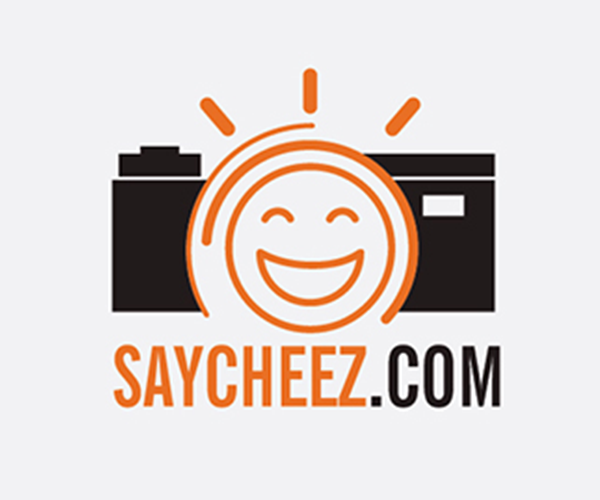 Use the following trends and ideas to create a powerful logo for your photography business and grab the attention of potential customers in a matter of a moment. 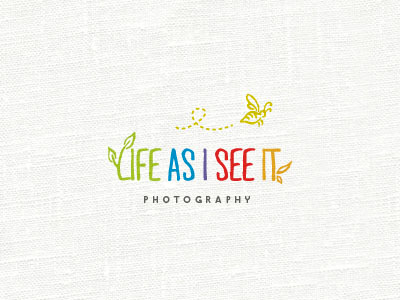 In fact, through my experience as a logo designer, I realized that a beautiful logo is a magic wand for any business. It can turn an ordinary brand to a special one; a usual website to a stylish and memorable gallery. A powerful logo design says more than a thousand of words, and more importantly, it’s capable if grabbing a viewer’s attention immediately. 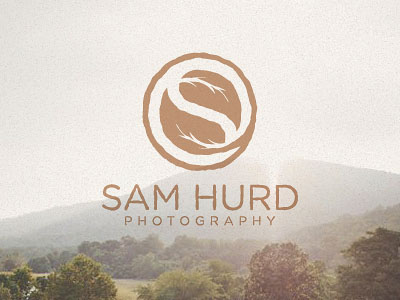 Let’s look at some modern trends in creating effective logos for photography business. The most popular geometric shapes are simple and concise figures, for example, triangles, lines, drops in various combinations, rhombuses, etc. However, the use of complex shapes won’t be fatal to you if you don’t overdo. As for color, the most popular are dark gray, white, and gold. Note: before choosing this or that color combination, study the psychology of color. Color psychology is one of the basic things for controlling the buyer’s subconscious. This is probably the most popular trend among our clients. After all, you’re not limited here at all! The design process is not so hard, the flight of imagination is absolutely limitless, and the output is beautiful in almost any case. Of course, the chosen style must suit the concept line of your brand. 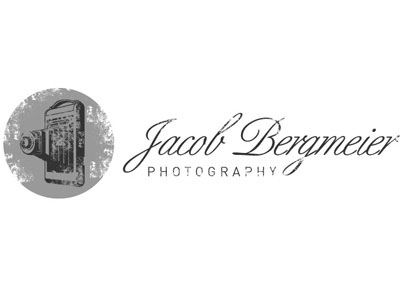 The word “photography” looks easy to read while “Jacob Bergmeier” is rather complicated for perception. Being a little bit controversial, calligraphy and lettering still rules the logo design for photo business in the second part of 2016. 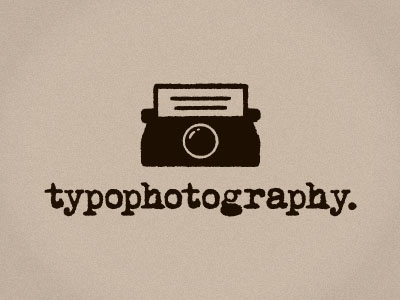 In typography, we observe simple font solutions without graphic elements. 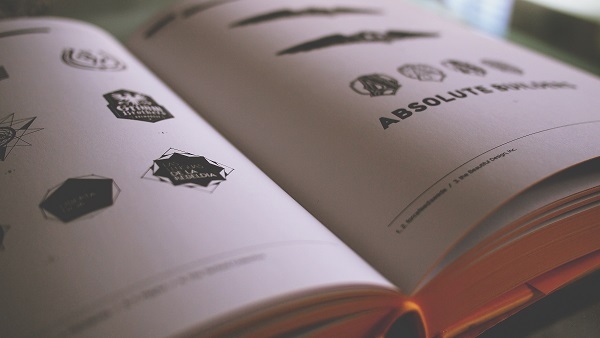 As for the hidden concept, designers try to hide the key ideas and concepts of the brand in the writings on the logo. It’s always one of the most complicated tasks for a designer. As practice shows, brainstorm is the best method to find an effective solution. 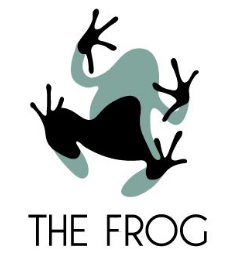 Sign logos – symbolic images, abbreviations, abstract signs, or just a single capital letter. Text logos – a symbol of a website with the written text referring to the brand. 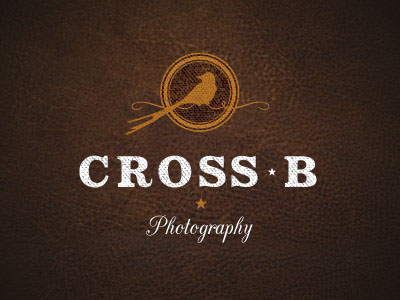 Combined logos – a combination of text and symbols. Sure, a logo is only one of the many elements of brand promotion. Nevertheless, it greatly contributes to increasing the brand’s awareness, respectability, and credibility. All these will help you to make the business profitable and competitive. Today, those web resources that have made every single effort to develop and promote the logo, receive a higher income than those who did not consider the creation of a logo as an important aspect of the promotion. 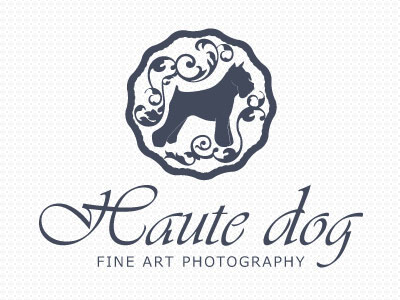 No doubts: the logo is a key element of branding for a photography business. Simplicity. The logo must be simple since such logo is perceived better and easily memorized. Uniqueness. You need to create an original logo. The creative idea will attract attention and set you apart from the set of similar solutions. Relevant. The logo must comply with the specifics of the brand. That is, when looking at the logo, a customer should experience the association with the brand. Once again: the ultimate goal of logo design is to improve the awareness of the promoted brand. 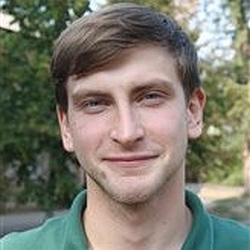 Brian Jens had been a freelancer for a couple of years before joined DesignContest crowdsourcing platform. He’s not just a logo designer but also a reputable blogger. Brian constantly investigates the market and releases articles covering the most exciting topics of the design industry.